You’ve probably heard about the recent legalization of hemp production as a result of the federal Farm Bill that was passed by congress in 2018. The bill came with a massive price tag — $867 billion — and legalized hemp by classifying the plant as an agricultural commodity and removing it from the federal controlled substance list. Almost immediately after the 2018 Farm Bill was signed into law, retailers in Texas began marketing and selling CBD products in their stores. 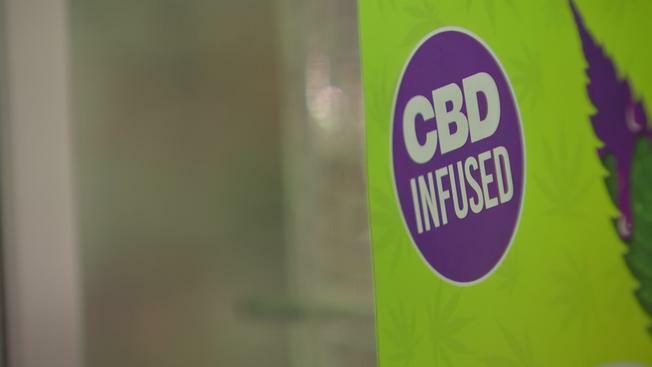 Earlier this year, the Tarrant and Lubbock County District Attorney’s Offices issued warnings stating anyone who buys or sells CBD oil is breaking the law. The statement made clear that any concentration of THC is illegal under Texas law pursuant to the state’s Controlled Substances Act. Stores in Duncanville and Lancaster — suburbs located just south of Dallas — were raided in April and had $50,000 in hemp-derived CBD seized by law enforcement. Confusion about the legality of CBD raised questions from convenience stores who risked going to jail in order to compete with surrounding retailers who were already selling CBD products. The confusion? While the 2018 Farm Bill authorized states to create regulations governing the cultivation and production of hemp, Texas law classifies hemp as a controlled substance. Or at least it did. Is CBD Oil Legal to Buy and Sell in Texas? Yes. On April 5, 2019, the Texas Department of State Health Services removed hemp from its list of dangerous drugs like cocaine and heroin, in effect making it legal to use, buy, sell, and possess the plant and the CBD oil extracted from it. As a result, hemp is no longer considered a Schedule 1 drug in Texas. "With Texas' removal of hemp from the definition of marijuana under the Texas Controlled Substances Act, hemp-derived products are now legal to buy and sell in Texas, as long as they come from a licensed industrial hemp producer and the THC content is < .3% THC,” said Lisa Pittman, a Texas attorney with Tannenbaum, Trost, & Burk, LLC law firm who has been working in the cannabis and hemp industry since 2014. The declassification, according to legal experts, doesn’t allow the farming or manufacturing of hemp in the state, but it is a step in that direction. Currently, there are several pending hemp bills in the 86th Texas Legislature, most notably House Bill 1325 (‘Hemp Farming Act”) filed by Representative Tracy King (D - Batesville) which creates a state hemp production plan and provides the Texas Department of Agriculture (TDA) regulatory authority over hemp production. HB 1325 has strong bipartisan support, including eight bill sponsors, evenly split between the Democrats and Republicans. The Texas Farm Bureau (TFB) — the state’s largest farm and ranch organization — supports the research, licensed cultivation, production, processing, commercialization and utilization of hemp in Texas, leading many to believe there is strong likelihood the bill will pass this legislative session. Should HB 1325 pass, Texas would join 41 other states in hemp cultivation, bring the state into full compliance with the 2018 Farm Bill, and clarify beyond any doubt that hemp products such as CBD could be sold at retail. Additional pieces of legislation are pending that address the criminal penal codes associated with cannabis, and until the Texas Legislature adjourns at the end of May, retailers, and consumers should exercise caution until law enforcement and other governmental agencies become more familiar with these new changes to the laws, adds Pittman. What is CBD Oil and Why is it so Popular? CBD oil has become a popular new product in states that have legalized medical marijuana. The oil is extracted from the flowers and buds of hemp or marijuana plants. Hemp plants contain less than .3% of tetrahydrocannabinol (THC), a trace amount that does not produce intoxication. According to WebMD, the non-intoxicating extract is being credited with treating medical conditions such as anxiety and epileptic seizures to sleepiness and inflammation. Its growing popularity as a plant-based natural medicine has helped position hemp as an alternative to traditional medicines prescribed by doctors. A recent report by Hemp Business Journal estimates the market size for the CBD oil industry will reach $2.1 billion by 2020. From a retail perspective, the margins in hemp-derived CBD products can be very lucrative. Convenience stores should take note on the variety of ways in which CBD oil is consumed. Soap, lotion, gummy bears, soda, baked goods, salad dressing, and more can be made using CBD oil. The four most common methods for CBD oil consumption are inhalation, topical application, sublingual (under the tongue), and ingestion — build your marketing strategy and product placement around your customers consumption behavior in order to maximize efficiency and revenue. The 2018 Farm Bill preserves the Food & Drug Administration’s (FDA) authority to regulate products containing hemp and hemp-derived compounds under the Federal Food, Drug, and Cosmetic Act (FD&C Act) and section 351 of the Public Health Service Act. This allows the FDA to continue enforcing the law to protect patients and the public while also providing potential regulatory pathways, to the extent permitted by law, for products containing hemp-derived CBD. In April, the FDA announced a number of important new actions, including public hearing and working groups, to develop a framework for the lawful marketing of appropriate hemp and hemp-derived products under its existing authorities. While the FDA regulations are more of an issue for manufacturers, retailers should be aware of the regulatory oversight of CBD products moving forward. If you are selling or have plans to sell CBD oil, be sure to purchase from a reputable distributor who uses a third party testing lab and whose products are derived from hemp and not marijuana. Marijuana plants contain higher levels of THC and are a psychoactive drug that produces intoxication. Since none of the CBD products sold over the counter have been approved by the U.S Food and Drug Administration (FDA), it is relatively easy for pseudo cannabis companies to skimp on testing and other important quality controls. The average CBD user takes between 1/mg a day and 40/mg. At that rate, it is almost impossible to fail a drug test because of THC. However, there are several reported cases throughout the U.S. of users who have failed drug tests after claiming they only consumed products with CBD oil. Understanding this risk can help convenience stores address personnel issues that may arise. So far, only a handful of CBD raids at convenience stores have taken place, most of those in rural counties. While a few stores have had their products seized, inevitably any threatened charges have been dropped and no one has been prosecuted for selling CBD products derived from hemp. Now that hemp is no longer considered a Schedule 1 drug in Texas, the likelihood of future raids are much more unlikely. As the Texas Legislature continues its work this session, TFFA will keep you informed on the impact hemp production will have on the retail environment in Texas.